Lilley’s Beach is just one of the many local sites registered for Clean Up Australia Day. 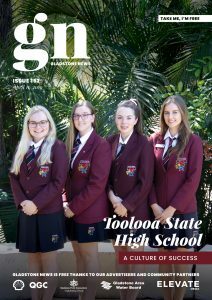 Boyne Island Lions see taking care of Lilley’s Beach as a clean-up site each year as an extension of their submission for the Boyne Tannum community in the Queensland Tidy Towns competition, for which they have a 3.5-star accreditation. Lilley’s Beach is a sensitive foreshore area extending almost 8km along the coastline from the mouth of the Boyne River. The area is nesting habitat for many species of shorebirds and marine turtles, and the tidal flats contain fragile seagrass meadows which are important for foraging marine life. It is also a popular camping and fishing location right on our doorstep for many locals and visitors alike. On Sunday 4th March, Boyne Island Lions with the support of Gladstone Regional Council, Conservation Volunteers Australia, and Boyne Smelters Ltd will be conducting a clean-up of this beach area, and we are seeking volunteers. 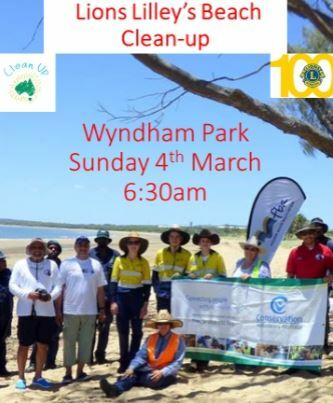 The morning will commence with registration at 6:30 am at Wyndham Park, Boyne Island, with vehicles used to transfer volunteers at intervals along the beach, to clean up the entire foreshore. At 9:30 am the Lions will collect the rubbish and transfer the volunteers back to Wyndham Park for a free barbecue.